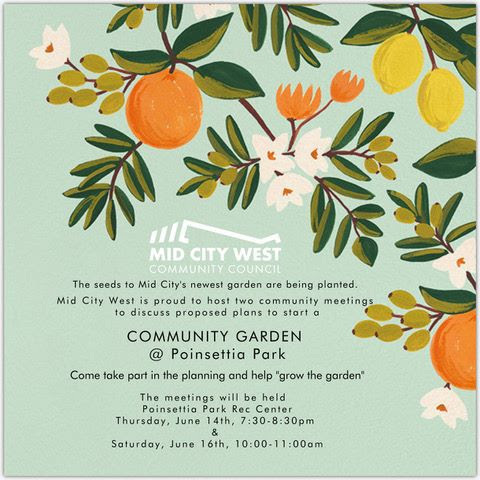 Mid City West | Our June Newsletter! You are here: Home / Our June Newsletter! 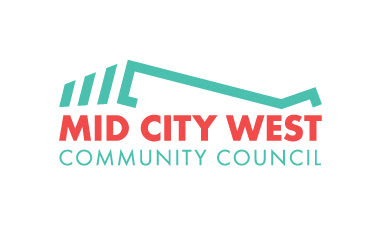 The Mid City West Neighborhood Council Board will be electing officers for the 2018-19 year – a chairperson, first vice chair, second vice chair, treasurer and secretary – at its meeting Tuesday night. Planning and Land Use items on the agenda include renewal and expansion of licenses to serve alcoholic beverages for the Farmers Daughter on Fairfax Avenue and India’s Tandoori on Wilshire Boulevard. The Board’s 6:30 pm meeting will take place at the National Council of Jewish Women, 543 No. Fairfax Avenue. Plans to create a community garden at Poinsettia Park will be considered at two upcoming meetings at the park. The first meeting will be Thursday, June 14, from 7:30 to 8:30 pm; the second meeting Saturday, June 16 from 10 to 11 am. Find more information, and RSVP, on the Facebook event page! 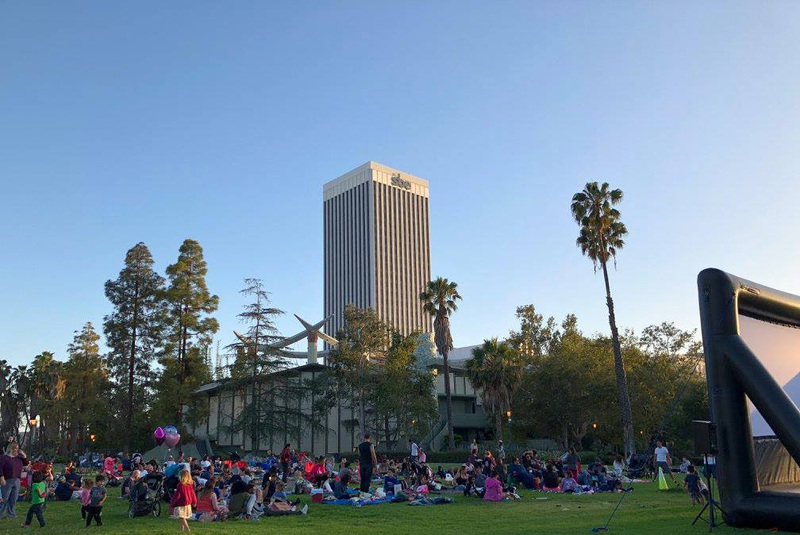 Hundreds of people enjoyed a warm summer evening on the great lawn at the La Brea Tar Pits park with a movie and snacks provided by the Mid City West Community Council in the honor of the council’s 15th anniversary. 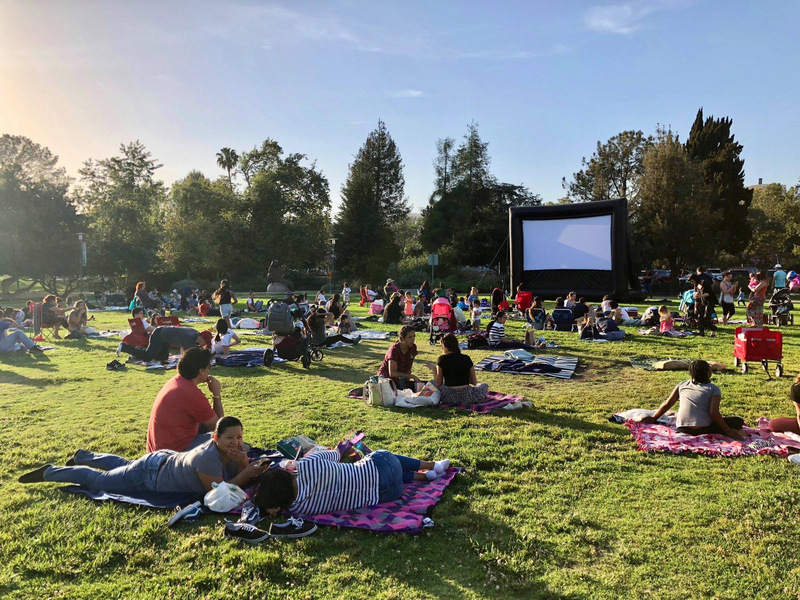 Attendees at the Sunday evening event were treated to a screening of Moana, a Walt Disney Animation Studios film, as well as Mid City West goodies – cookies, donuts, cake, popcorn and water – and blankets to borrow courtesy of The Grove. Most people had brought picnic dinners to enjoy with the film. The event was developed by the Mid City West Education & Social Services Committee. The committee is head by co-chairs Emily Kantrim and Keith Kirkwood, and includes Dina Brown, Laura Petry, and stakeholder member Lauren Nichols. It was held in conjunction with the Los Angeles County Natural History Museum, Los Angeles County Supervisor Sheila Keuhl, Los Angeles City Councilmen David Ryu and Paul Koretz, League of Women Voters, FilmLA, Inc. and the Los Angeles Homeless Services Authority. The latest installment of the Bicycle Safety Class (Level 2), hosted by our very own Transportation, Parking & Streetscape Committee, is being held this Saturday June 16th at 9am. Check the Facebook event page for more details, and to RSVP! In an effort to provide more information about the members of our Board this issue of our newslettercontinues a series of profiles. It is hoped that through these brief profiles other board members and the community members we represent will get to know us better. This month you’ll be introduced to Christine Johnson and Don Whitehead. 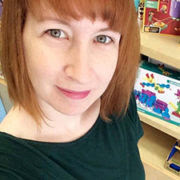 She moved to LA in 2005 from the east coast, and although her home is now in Koreatown, she is in the neighborhood every day of the week with her business, Miracle Mile Toy Hall. She recalled some of her greatest moments in her store – all relating to people. She was able to introduce two new moms who live a couple blocks away and have never met, greeting a teacher who ran into someone she knew in the store, and telling a customer about a new cafe opening up down the street their spouse is going to love. Chrisitine had worked in both documentary film and for several speaker’s agencies before becoming a mom to three, and really craved interaction with people and actual products you could touch. Looking around at Miracle Mile, she saw a number of the same types of businesses, so a toy store seemed like a unique and welcome addition. Add to that the growing number of families staying in and relocating to the area, and the coming of the Purple Line. “For five years we served our customers in a small shop on the north side of Wilshire Boulevard. Now, with a new owner, we’ve moved to the south side of Wilshire to the space formerly occupied by Whimsic Alley,” she said. The new space includes a room for puppet shows, birthday parties, and even fencing classes. “All to serve our neighborhood,” Christine enthused. Christine grew up in Baltimore Maryland, attended public schools, and got involved with the now legendary Kurt Schmoke’s mayoral campaign. She followed the lead of her parents who were active in volunteering in local government. Christine has three kids and is expecting her fourth in August with her partner, Joey Apodaca, who is the Senior Field Representative for Congressman Ted W. Lieu. She has a BA in English from Wellesley College. 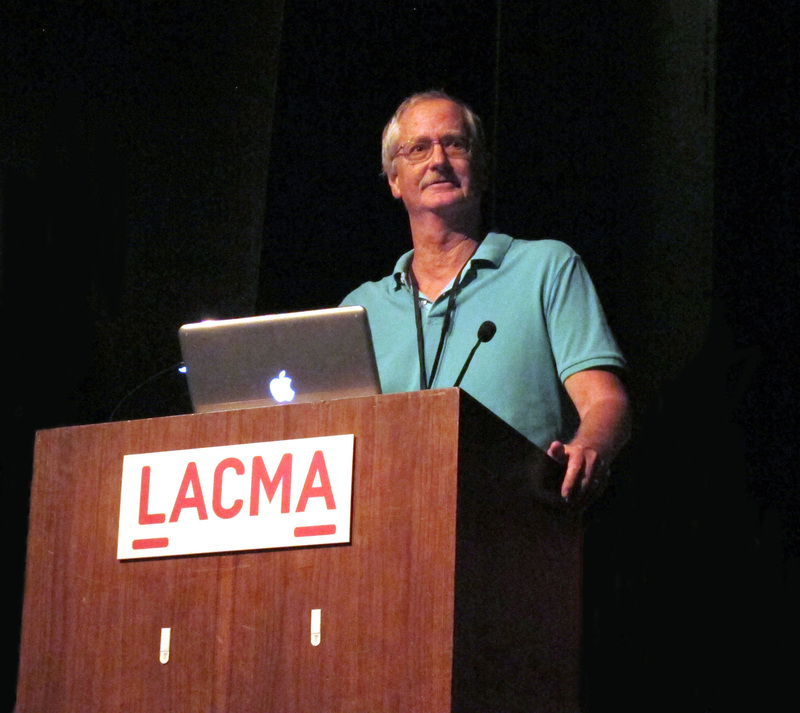 Don grew up in the area and attended schools just beyond the boundaries of Mid City West – Wilshire Crest Elementary School, John Burroughs Junior High and Los Angeles High School. His second home was the Westside Jewish Community Center where he participated in sports leagues, played basketball, swam and had his first jobs, working in the print shop and parking lot. He graduated from Occidental College with a double major in Political Science and Media. Along the way he had worked in a US Senate campaign and in the senator’s Los Angeles office. These experiences led to many years working as a newspaper reporter, in political campaigns, for elected officials, and with an issue and image communications firm. This broad communications background eventually led him to work for two traditional ad agencies and in a client-side marketing position, acquiring an MBA along the way in the Executive MBA Program at UCLA. Those two sons are now grown and married, one last June and the other a few days ago. Don is looking forward to them joining in an upcoming vacation to the south of Scotland and north of England. Among other things, they and other relatives and friends will spend a week living in a 1750s manor house that was once home to famed writer James Boswell. Although Don had been away from politics and government for many years, his interest remained. About a decade ago he volunteered in a City Council campaign and got exposed to the neighborhood council system. Shortly thereafter he ran for Mid City West…and lost. “I was appointed some months later and have been elected a couple of times since then,” he said. Don has focused his Mid City West efforts on what he knows best, communications, working on the new logo, upcoming brochure revision and the monthly electronic newsletter including biographies on most of the members. “The biographies have been a great way to get to know about other members of Mid City West and I hope others have enjoyed them,” Don said. Don and Katherine McDaniel, an Intellectual Property attorney, married for approaching 40 years, have lived in their Miracle Mile home since 1980. For our archive of past newsletters, click here! 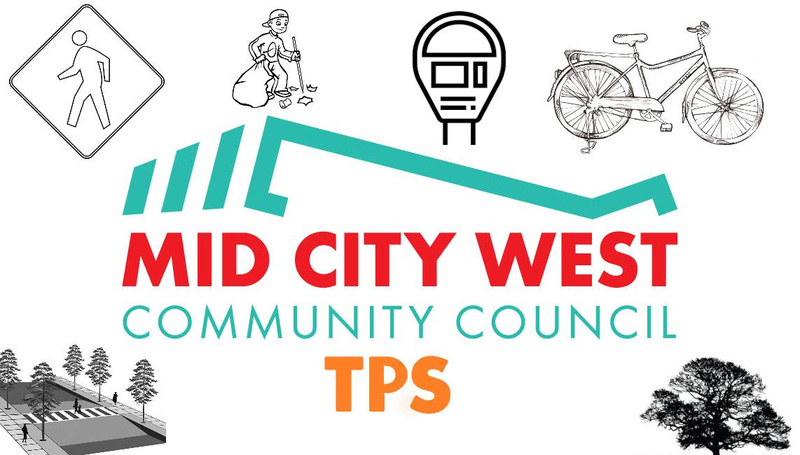 http://www.midcitywest.org/wp-content/uploads/2017/04/MCW_SiteIcon.png 2333 2333 Andrew Jhun http://www.midcitywest.org/wp-content/uploads/2017/04/MCW_SiteLogo_LARGE-300x171.png Andrew Jhun2018-06-12 13:22:122018-06-12 13:24:50Our June Newsletter!